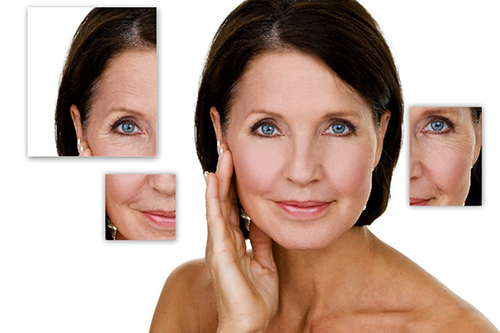 The Vampire FaceLift® Procedure™ combines the science of hyaluronic acid fillers such as (Restylane or Juvederm), with the patient’s own blood to provide a youthful solution for the aging face. By utilizing Juvederm to lift the skin away from the bone, we can reshape the face to regain your youthful appearance and improve your facial contours. After we inject Juvederm® we then use the patients’ own blood components to improve the texture and look of the patients’ skin. The contents of your blood are rich with life-giving fundamental growth factors designed to restore and strengthen your skin. The Vampire FaceLift® utilizes leading-edge, patented technology specifically to harness these growth factors and proteins. With a simple and precise process, we are able to harness a very high concentration of your blood components and create your own platelet-rich plasma (PRP). One a tube of blood is drawn that would be required for a basic lab test. It is then placed the blood into a centrifuge and spins the blood at a very rapid rate to separate the platelets from the other components of the blood. The platelet-rich plasma that is obtained is then activated to release at least 8 essential growth factors and proteins. The activated growth factors will instinctively know how to repair and strengthen the specific tissues where they reside. It PRP is then injected into specific areas of the face to improve the skin tone and texture. It also works with the Restylane and Juvederm to enhance the effects of the fillers. This process continues to improve the skin and facial contours for 12 weeks after treatment.